The Austrian ECSA team organised the ECSA Golf Championship 2018. The event took place in Lower Austria at the Golfresort Haugschlag from 18th to 19th September 2018. After Rome 2016 this year in September 2018 the golf resort Haugschlag became the venue of the tournament of the ECSA -European Customs Sport Association with international starter field. Every two years, golfers from the financial and customs worlds meet for an international tournament. 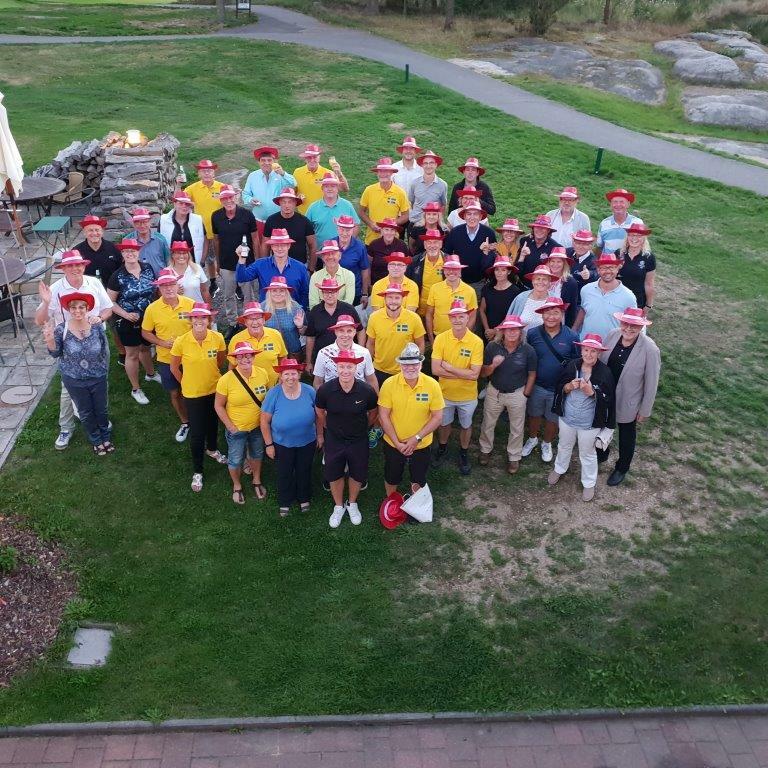 This year we welcomed 68 participants from 8 nations in the golf resort Haugschlag. On two days of the tournament, the participants had a lot of fun and were also spoiled with culinary delights. "The whole package just fit. The participants would love to come back to Haugschlag in two years time. " Two different types of games were played: Day 1 - FourBest Ball; Day 2 - Fours with selection drive beat. The results from both match days were added. If you work in customs and you and your colleagues are interested in sport, then ECSA may be of interest to you. ECSA wants to increase sporting contact between its member countries. ECSA wants to ensure that the men and women who serve in customs and tax offices throughout Europe are made aware of the sporting possibilities that exist for them. For more information please click here. 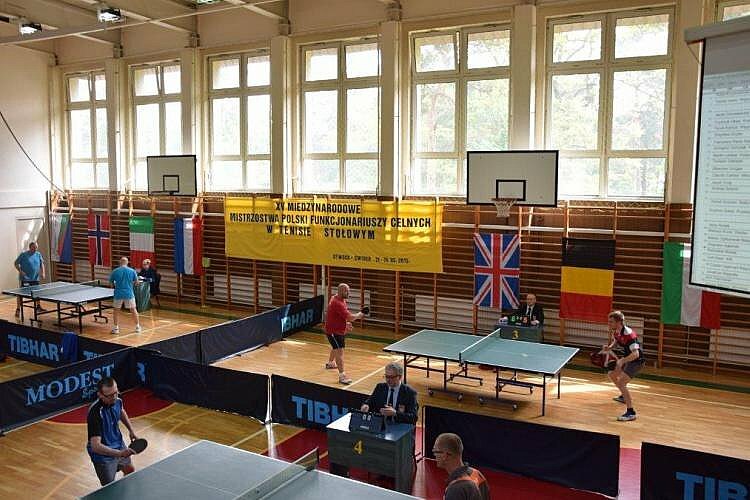 The 15th edition of the International Table Tennis Tournament in Poland will take place from 17h to 19th of May 2019. Event is organised by Polish Customs at Otwock (near Warsaw). Three competators (1 woman & two men) of each ECA state-member and representatives of DG Taxud are invited to participate in this event. The tournament will be organised in six categories: women's singles, men's singles, men's doubles and mixed. Participation cost is 150 € per participant and it includes registration fee, transportation from / to airport in Warsaw, accomodation (3 nights in a twin bedroom) and board. Arrival of the teams is possible on Thursday the 16th of May in the afternoon hours. Departure is on Sunday the 19th of May after breakfast. Registration and payment of participation cost must be made before 19th of April 2019. Contact your local ECSA delegate if you want to participate to this event. 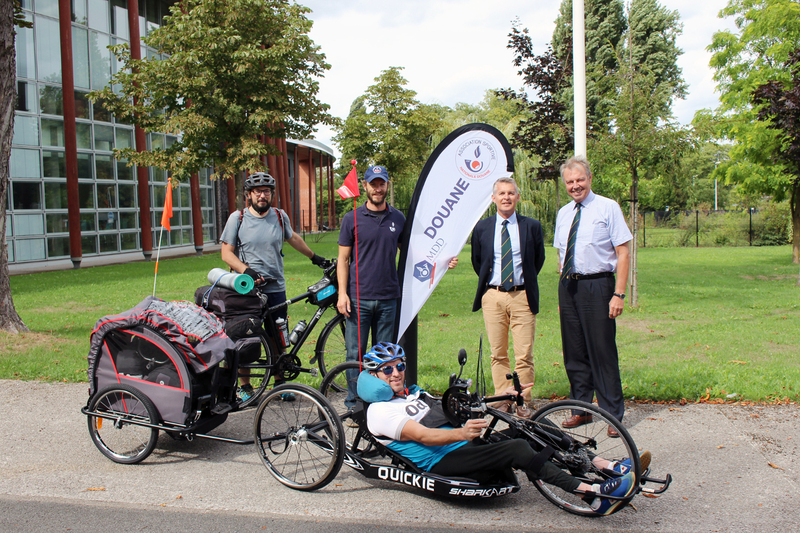 At the same time of ECSA sports week 2018 team of two French customs officers, Julien Robert and Cyrille Bon, left from Tourcoing on 24th of August 2018 for a two weeks bike trip as a part of celebrations of the 50th anniversary of the EU. During these two weeks Julien and Cyrille cycled 100 km average per day crossing Belgium, The Netherlands, Germany to Denmark where the final destination was in city of Copenhagen. 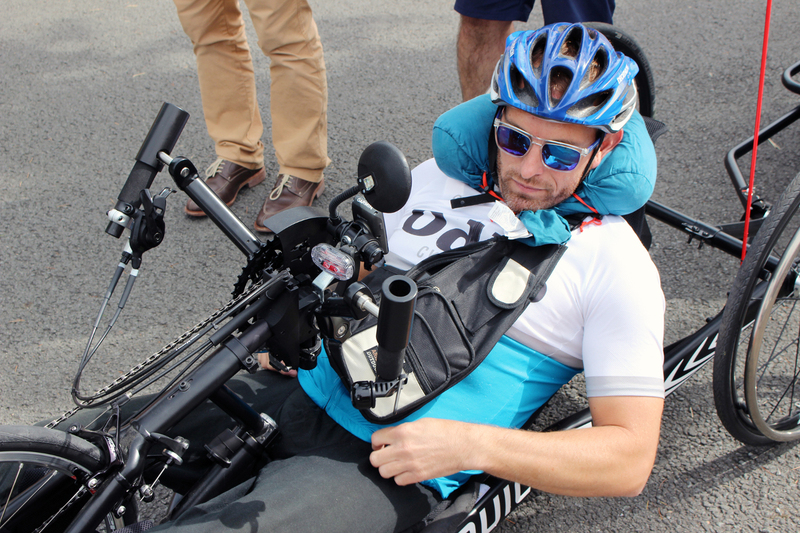 Julien made the trip with parasports bike (using his arms only). The bike was already dismantled last weekend. My headache this morning is how to carry the huge bike bag to the morning's first arriving commuter train in time. It will take me to the airport, where I‘ll meet up with Anna. I'm not worried about her. She will be there on time, with everything brought with her. Entirely correct! She is there! And, it was a tough walk for me to pull a 21k-nonwheeled bicycle bag to the shuttle. When on site, the rest of the morning is just like a bed of roses. Standing nervously waiting for John. I've managed to minimize the packing, to get it all into my bike bag. We are traveling to Yorkshire to end the bicycle season with a 100 miles race held by HM Revenue & Customs, Sports & Leisure holding ECSA’s European road cycling championships. However, all my concerns are about the tough track profile with almost 2,500 altimeter. A really tough challenge. Can I do this? There comes John! Oh no... overweight in the bike bag ... how much of it can I transfer to Johns luggage? I who had packed everything so nicely. Wonderful! John has a few pounds left in his bags. We are on our way and next stop is Manchester. All bags show up on the belt and we meet Mike. Is it possible to pack all our luggage into his car? We really push the luggage into the car and hang Mikes racer on a bicycle rack. Wondering if the bikes are all right after this?